Be careful when selling an invention before filing a patent application. © January 14, 2002, Frederic M. Douglas, All Rights Reserved. Q. When does an offer to sell bar patenting an invention? A. When a commercial offer of sale is made. If a patented invention is sold, or even offered for sale, more than one year before the patent application date, then a U.S. patent is unavailable. Many foreign countries refuse patents even if the offer to sell occurs only one day before filing for the patent. 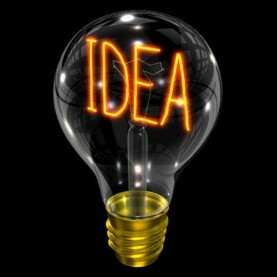 While the definition of an actual completed sale of a patent invention is self-explanatory, one needs to determine what type of offer for sale would prevent patenting an invention after one year. A disqualifying offer for sale would be one ordinarily considered by businesspeople to be an “offer to sell.” Such an offer would allow the offer recipient to form a binding contract by simply saying, “I accept your offer,” if consideration is involved (usually a price). Keep negotiations on a preliminary basis regarding selling items, to a third party, until after filing a patent. Quoting price estimates, quantity estimates, and delivery time estimates should not present a problem so long as the third party clearly should not expect to be able to submit an order for the item immediately. Provide your patent attorney with sufficient advance notice before offering to sell, as many foreign countries will prevent us from obtaining a patent once an offer to sell is made. Whenever an offer to sell is provided, contact your patent attorney, on the same day, so that you can intelligently decide to file a patent in the U.S. before the one year deadline. The following has been discussed in Linear Technology Corp. v. Micrel, 2001 U.S. App. LEXIS 27386 (Fed. Cir., Dec. 28, 2001) and Group One Ltd. v. Hallmark Cards, Inc., 254 F.3d 1041 (Fed. Cir., June 15, 2001), pet. cert. filed Nov 5, 2001. Section 102 of Title 35 of the U.S. Code provides in relevant part that “[a] person shall be entitled to a patent unless . . . (b) the invention was . . . on sale in this country, more than one year prior to the date of the application for patent in the United States . . . .” To prevail on an on-sale bar defense, an accused infringer must demonstrate by clear and convincing evidence that “there was a definite sale or offer for sale of the claimed invention prior to the critical date, defined as one year prior to the U.S. filing date to which the application was entitled.” Mas-Hamilton Group v. LaGard, Inc., 156 F.3d 1206, 1216, 48 USPQ2d 1010, 1018 (Fed. Cir. 1998) (quoting Pfaff v. Wells Elecs., Inc., 124 F.3d 1429, 1433, 43 USPQ2d 1928, 1931 (Fed. Cir. 1997), aff’d, 525 U.S. 55, 142 L. Ed. 2d 261, 119 S. Ct. 304 (1998)). Under Pfaff’s test, the on-sale clock begins to run when two conditions are met: (1) “the product must be the subject of a commercial offer for sale”; and (2) “the invention must be ready for patenting.” 525 U.S. at 67. Under Group One, interpretation of Pfaff’s commercial offer-for-sale prong thus requires the application of traditional contract law principles to the facts of the particular case. Because the on-sale bar involves questions of patent law requiring national uniformity, Group One declined to rely on the law of the particular state in which the transaction occurred, instead holding that the existence of an offer for sale should be analyzed “under the law of contracts as generally understood.” Group One, 254 F.3d at 1047, 59 USPQ2d at 1126. Group One further instructs that the Uniform Commercial Code (“UCC”) should inform the analysis of the contractual issues. Id. (“As a general proposition, we will look to the Uniform Commercial Code (‘UCC’) to define whether, as in this case, a communication or series of communications rises to the level of a commercial offer for sale.”). Of course, the UCC is a model code–it does not itself have the force of law and no body of case law has explored its provisions. Instead, it has been enacted with modifications in the several states. Thus, the body of case law from which we must draw guidance under Group One is that of the state and federal courts interpreting their individual versions of the UCC. Preparation alone cannot give rise to an on-sale bar under Group One. As noted in Group One, “contract law traditionally recognizes that mere advertising and promoting of a product may be nothing more than an invitation for offers, while responding to such an invitation may itself be an offer.” Group One, 254 F.3d at 1048, 59 USPQ2d at 1126. Accordingly, “in any given circumstance, who is the offeror, and what constitutes a definite offer, requires looking closely at the language of the proposal itself.” Id. Frederic M. Douglas (fdouglas@cox.net) is a solo practitioner specializing in litigation involving intellectual property (patents, trademarks, trade secrets, copyright, and more). Mr. Douglas has been a patent attorney registered with the U.S. Patent and Trademark Office for over 11 years. This entry was posted in Advice For Inventors, Patent Applications, Patent validity and tagged application, applications, offer of sale, offer to sell, patent, patents, provisional, validity. Bookmark the permalink.